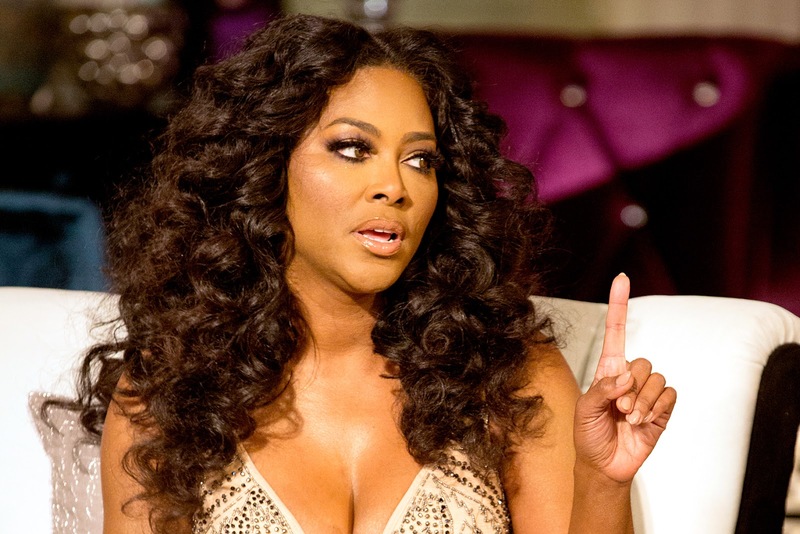 iRealHousewives | The 411 On American + International Real Housewives: Kenya Moore Fires Back At Those Fake Pregnancy And Divorce Rumors! Kenya Moore was recently accused of faking her pregnancy after she shared a photo of her and husband, Marc Daly, the image of which had her stomach covered. 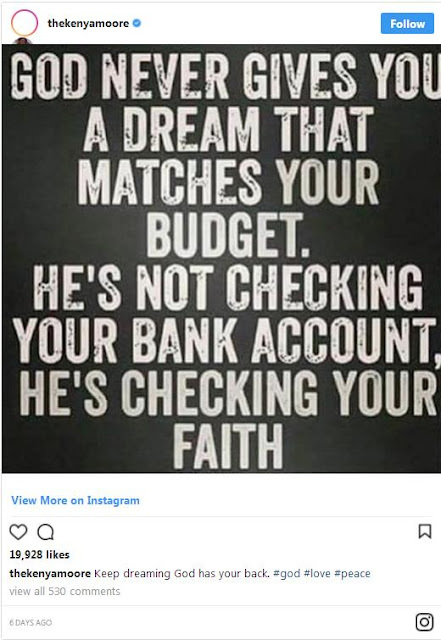 The Real Housewives of Atlanta star later removed the image and instead replaced it by sharing inspirational quotes about motherhood and spirituality. Now, Moore recently took to Instagram to shut down any speculation about the state of her marriage and her pregnancy. She concluded the post with the hashtags, #thatsmrsdaly2you and #blacklove. 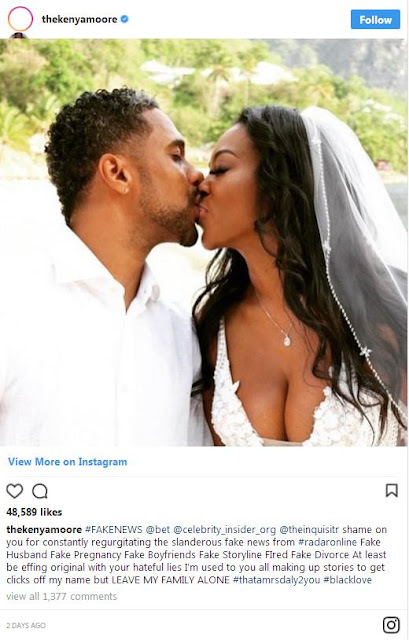 Kenya announced that she and husband, Marc Daly are expecting their first child together during Part 1 of The Real Housewives of Atlanta Season 10 reunion. 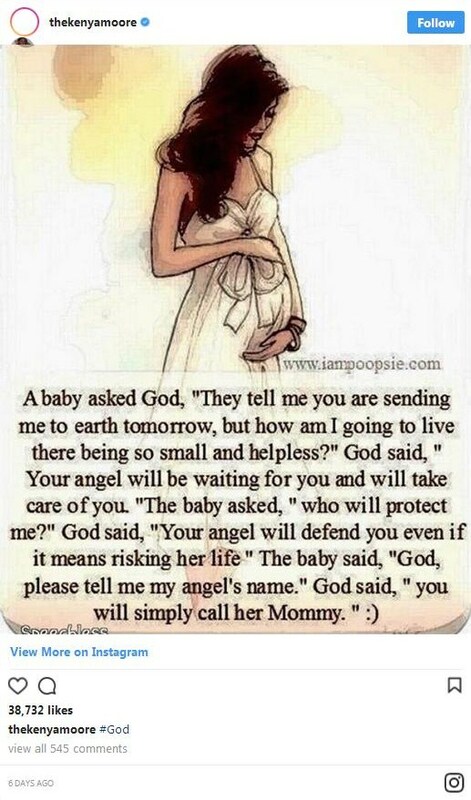 She later revealed that she got pregnant via IVF treatment and shared details about her process. “I don’t have a horror story,” Moore told PEOPLE, earlier this month. “It’s weird because you hear other people’s troubles with the injections and the hormones. And for me, it was a pretty simple process,” she explains. Moore opened up to the publication about her entire IVF experience, from self-administering her hormone shots to finding out she was, indeed, pregnant. Then, Moore revealed how she handled the injection process. “I thought I would be the worst person for the injections. Honestly, the first time I did it, I had to do it by myself. I imagined myself going to the clinic every day, having a nurse do it for me. Or hiring a nurse to come to my home to do it,” she told PEOPLE.